You don't always need human casualties to accomplish a mission. They wanted to degrade Chem WMD capabilities, and this did that. Their R&D, manufacturing and other war machine is destroyed. Thanks to Israel, half of their Air defense was taken out a few days earlier. We also send a message to Russia, Iran, NK, Syria and other two-bit states: knock your #### off, immediately. Otherwise, Trump has demonstrated both the resolve and technical capacity to deliver precision strikes in short notice. after a week blabbering about it. "hey good buddy take cover - gotta make another show." 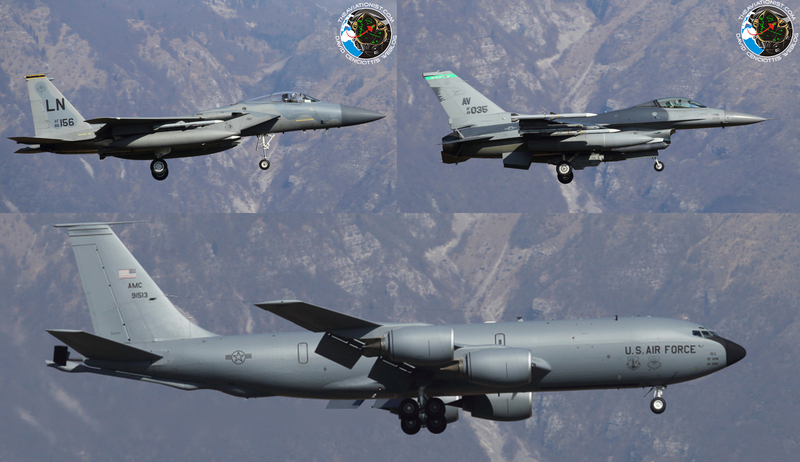 The aircraft tasked with ensuring air superiority and DCA (Defensive Counter Air) were 31FW F-16Cs, from Aviano AB, Italy, and 48FW F-15Cs, based at RAF Lakenheath but deployed alongside the Vipers at Aviano. They were supported by KC-135R tankers with the 100th ARW from RAF Mildenhall. The shots in this post, taken by photographer Claudio Tramontin outside Aviano today, show the aircraft loaded with AIM-120C AMRAAM and AIM-9X air-to-air missiles along with external fuel tanks. Interestingly, the Vipers carried also a AN/ALQ-131 ECM pod as well as the Litening ATP (Advanced Targeting Pod). Pilots worn the JHMCS (Joint Helmet Mounted Cueing Sight). Russian guy speaking, but no translation. If you look just below the video screen you will see a box that says original. Click it, select your native language and you will get the translation. Right now Russia is saying there was no chemical attack however the chemical attack was because of a foreign intelligence service.